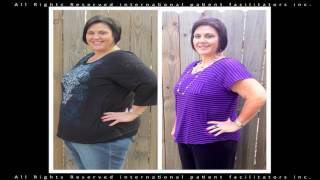 Sheri Burke from International Patient Facilitators and Dr. Sergio Verboonen interview patient Tina regarding her Gastric Sleeve Bariatric Surgery in Tijuana, Mexico. 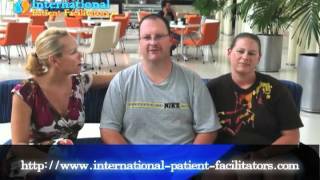 Sheri Burke from International Patient Facilitators interviews Dr. Sergio Verboonen and patient Jane who was in Cancun for her Vertical Sleeve Gastrectomy. Meet patient Dante Sheri Burke from International Patient Facilitators and Dr. Sergio Verboonen interview patient Dante regarding his Gastric Sleeve Bariatric Surgery in Cancun and Tijuana, Mexico. 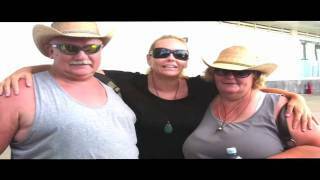 Video Interview part 2 - Sheri Burke from International Patient Facilitators and Dr. Sergio Verboonen interview patient Robert Holt regarding his Mini Gastric Bypass Bariatric Surgery in Tijuana, Mexico. Sheri Burke from International Patient Facilitators and Dr. Sergio Verboonen discuss the Mini Gastric Bypass Bariatric Surgery in Tijuana, Mexico. 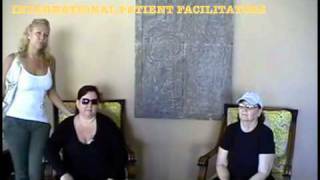 Bob McNamara\'s testimonial video 2 years after Mini Gastric Bypass with Dr. Sergio Verboonen in Tijuana Mexico June/ 09/2015 Facilitated by International Patient Facilitators and Sheri Burke. Meet some of our healthy, happy patients who had their bariatric surgery performed by Dr. Sergio Verboonen either in Cancun or Tijuana Mexico, facilitated by Sheri Burke and International Patient Facilitators 2009 to 2013, for more information visit. patient Julie has her lap band placed by Dr. Sergio Verboonen in Cancun, facilitated by Sheri Burke and International Patient Facilitators at the Victoria Surgery center. This is Julie less than 24 hours post op. Sheri Burke facilitates a lap band surgery for patient Kimberly in Mexico. Her chief surgeon is Dr. Sergio Verboonen. VSG, surgery in Cancun and tijuana with Sheri Burke and International Patient Facilitators. Dr. Verboonen performs VSG on patients Stephanie and Mary from the US. Here you can see their one year pre and post op pictures. We are very proud of them. 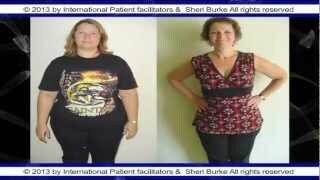 In this video Weight loss Surgery patients share their pictures before and after surgery with Bariatric Surgeon Dr. Sergio Verboonen facilitated by Sheri Burke and International Patient Facilitators. 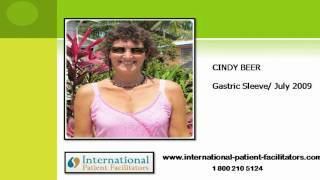 gastric sleeve procedure 24 hours post op with patient Lawanda in Cancun, Mexico at the Victoria Surgery Center. Her surgeon was Dr. Sergio Verboonen and her facilitator was Sheri Burke from International Patient Facilitators. Patient Jason gets his Gastric Sleeve in Cancun with Dr. Sergio Verboonen facilitated by Sheri Burke.